Black Pink Communicates directly with fans around the world through V LIVE. 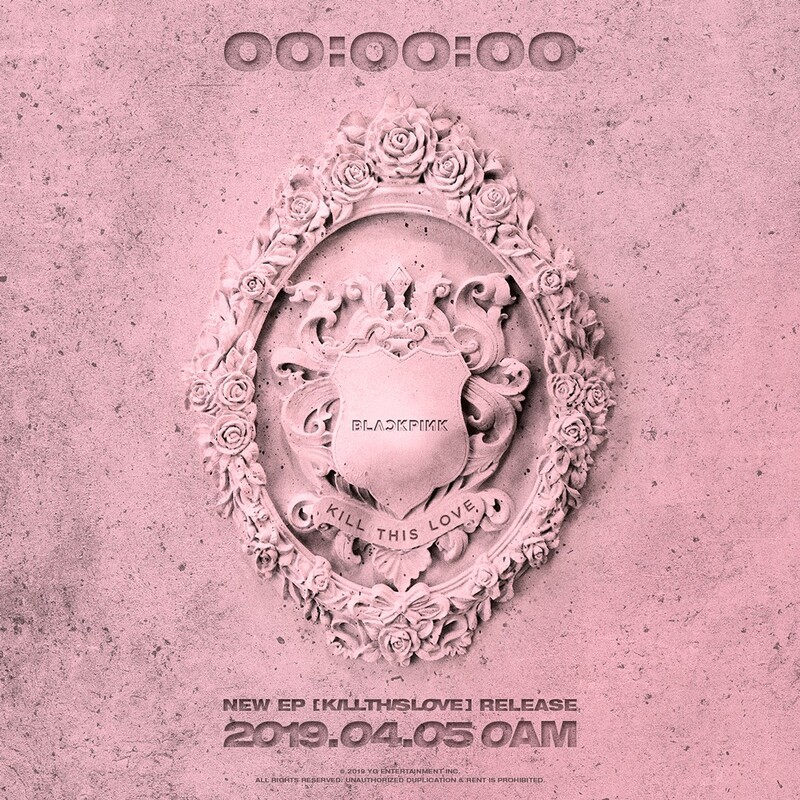 Prior to the release of the album, YG Entertainment unveiled the counter for the new EP album "KILL THIS LOVE" on their official blog at noon on April 4. Black Pink had just 12 hours left before the release of their new EP album "Kill This Love," has unveiled a counter poster made from an album cover image, maximizing the expectations of fans waiting for a comeback. Through the EP album, BLACKPINK has shown their more powerful girl crush appeal than ever, and the members have sought to make various styling changes after their comeback, showing the choreography, the most dynamic new song ever performed. The new album's title track "Kill This Love" features a powerful lead sound and grand drum sound, which is impressive for Black Pink's charismatic rap and vocals. TEDDY and Bekuh BOOM wrote, TEDDY, R.Tee, 24, Bekuh BOOM participated in the composition. The album includes five remix versions of the sub-title "Don't Know What To Do," "Kick It," "Hope Not" and "DDU DU DDU DU" as well as the title track "Kill This Love." Black Pink related to the new album said, "We paid attention to the concept digestion that matches the song. The concept of each track is so obvious. We’re looking forward to all the songs from the title song to the songs from the album, as I've prepared my best and hard,"
Black Pink met with fans from around the world on V Live at 11 p.m. an hour before the release of the Korean standard song. they had time to introduce their new album in person and talk about our future activities in a space decorated with the concept of a new music video. Since the release of "Kill of Love," BLACKPINK will be on stage on April 12 and 19 of the biggest music festival in the U.S(Coachella Music Festival) and face local music fans. Starting from 17, they will start on a tour of North America, which will begin in Los Angeles, six cities and eight concerts.